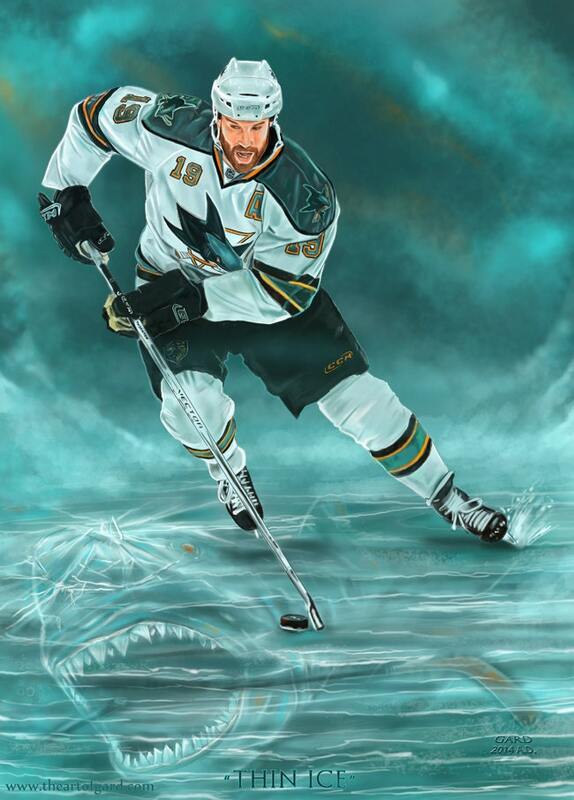 Artist's print of San Jose Sharks Captain, Joe Thornton. This piece is titled "Thin Ice" and it commemorates the Sharks 2014 playoff run. It was printed from the artist's own file that it was drawn from at 300 dpi.